Einstein is one of my personal heroes, Along with Desmond Morris and Alan Watts. 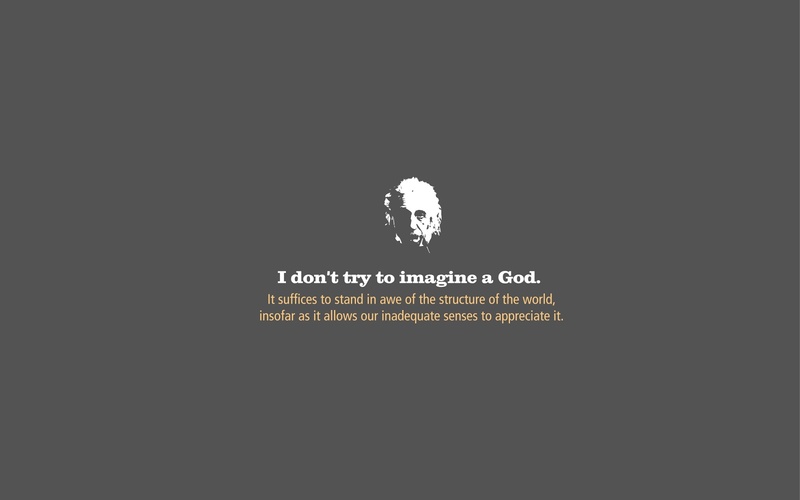 Einstein was brilliant, dedicated, a humanitarian, a philosopher and free-thinker, and he saw the big picture. I made this wallpaper as a tribute to him. Click to enlarge and then right click and save and enjoy. Peace.